Today is also my and hubby’s birthday. Yes! Like our lives we also share our birthdays. But today all of us are very tired. We just got back from our trip to Orissa and the change of weather has made the baby sick. The maid is also absent for the last 10 days after she got her new dress and bonus for the puja. Now am highly suspicious that she is gone for good and its high time that I look for a substitute. With loads of laundry and a dirty house almost made theirs by the ants and spiders in our absence, I hardly get any time to plan anything for the big day. I also am very low on energy right now to cook a full-fledged meal for us, so happily shelved that idea of an elaborate birthday meal for another bright sunny day. Rather planned for a mousse cake and good home delivery. But call it family pressure or whatever I at least have got 12 calls since morning with birthday wishes and esquires about the menu for our big night. Finally I had to give in when even my 4 years old niece wished and asked me if I had made payes. So finally I had to surrender and decided on this chanar payes, which my man can’t resist. Heat 1-liter milk in a heavy bottom pan on medium flame. Stir in between to prevent it from burning at the bottom. The milk will start to thicken and getting reddish hue slowly. Continue doing this for 30-35 minutes till its thick and creamy. In the mean time lets make the chana or cottage cheese. Heat 1-liter milk in another pan. Once it starts to boil pour in the limejuice. Reduce the flame to low and stir gently. The milk will curdle and clear whey will separate. Strain the paneer in a muslin cloth. Wash under cold running water to get rid of the lemony smell and then hang it for ½ an hour. Now get back to the boiling milk, which must have reduced, in quantity by now. To this add the milkmaid. Stir gently to mix. Check the sweetness and add sugar as per your taste. Now get the chana out of the cloth wrap and start kneading it with the palm of your hand. Knead to make it smooth for 5-6 minutes. Once you are happy with the consistency of the thickened milk reduce the flame and start adding the chana little by little. Gently stir to mix the chana to the milk. Once all the chana is added let it simmer on low heat for 3-4 minutes. Make sure there is enough liquid as the chana will soak up lots of liquid during the process of cooling. The consistency of the final dish should not be runny or dry. So adjust the liquid accordingly. Once done, sprinkle pounded green cardamom and mix. Serve chilled with generous sprinkling of pistachios. Make sure to wash the chana very well under water, as any trace of lemon will curdle the thickened milk. Thicken the milk before you add the chana as the milk should not be boiled for long with chana in it. It has high chance of curdling. The flavouring can vary. You can use bay leaf, cardamom or keora water to give it your choice of aroma. 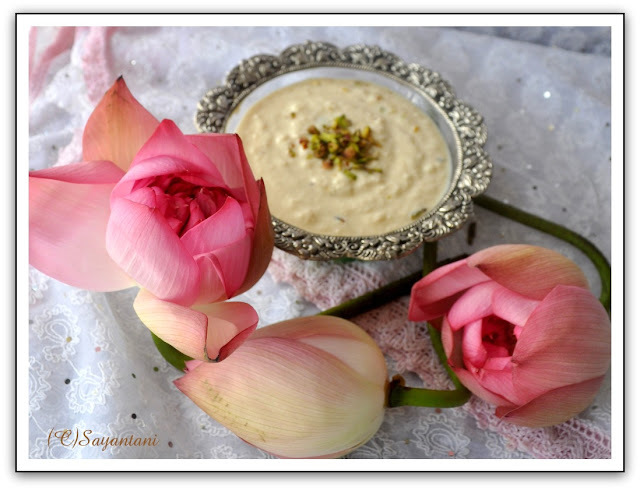 You can also add saffron threads to add flavour and colour to this dessert. The thickened milk should have enough liquid to hydrate the chana and still leave some liquid. So thicken the milk accordingly or adjust the consistency by adding more liquid. 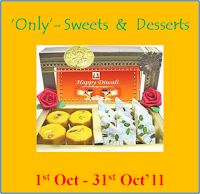 Diwali special-sweets and savories at tickling palate. 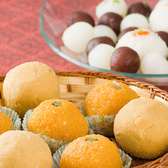 Diwali sweet recipes at my culinary creations. Only sweeta and desserts at Gayathri's cookspot. an event started by Pari. My Diwal my way at yummy food. 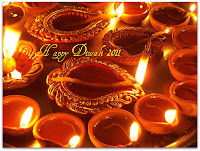 Diwali festival of lights at Anu's healthy kitchen. 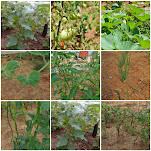 chana, chena, paneer, indian cottage cheese, ricotta cheese, whey, curdled milk, how to curdle milk, how to make chana or paner, chhanar payes, payasam, milk pudding, Indian pudding, indian milk pudding, bengali style payasam, bengali pudding, chana'r payes, chena kheer, chhena khir, chena halwa, bangali payes, authentic bengali dessert, milk based indian dessert, pista in dessert, indian cottage cheese dessert, authentic bengali dessert, eggless pudding, excuisite dessert recipe, exotic indian dessert, gluten free dessert, bengali raditional recipe, traditional bengali dessert, milk cheese dessert, sweet something, no bake dessert, dessert on stove top, best dessert recipe, how to cook indian pudding, how to prepare payasam, step by step payesh recipe. yummy yum pudding..looks very good n lovely platter!! hope u'll visit my space too.. This looks really delicious and the clicks are mouthwatering. love this..looks delicious and tempting..
Beautiful and so perfect! What a wonderful treat. B'day wishes to both you n your hubs ~ enjoy! Lovely clicks the pudding looks absolutely delicious..royal dessert. Delicious. Belated birthday wishes to your husband. You made it perfectly. The payesh looks delicious .... 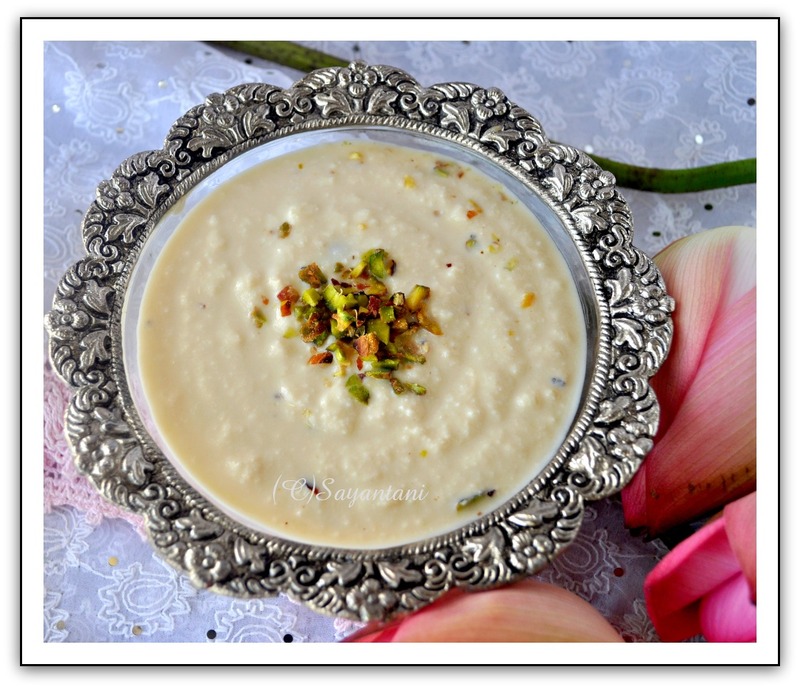 I have never tried chhanar payesh ... tomar recipe dekhe ekhuni banate echhe korchhe. The payes looks seriously delicious. Happy birthday wishes to both of you. That is so cool to have both your birthdays on the same day. That looks yummy.. 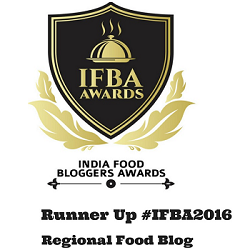 Loved it..
MOuthwatering recipe & awesome clicks......slurrrrrp!!!!!! very delicious and lovely pudding..wonderful presentation and superb clicks.. Happy Birthday ! Perfect payas for any occasion! Happy Dusshera! Tempting and beautiful presentation.. looks so tempting!! Tomakeo shubho mahalaya ,Sayantani.and a very very happy birthday to both of you:)I just came Back from Kolkata.had spend listening mahalaya with my mom after so many years.woke up at 4am to do so. Wish u both a Happy B'Day. 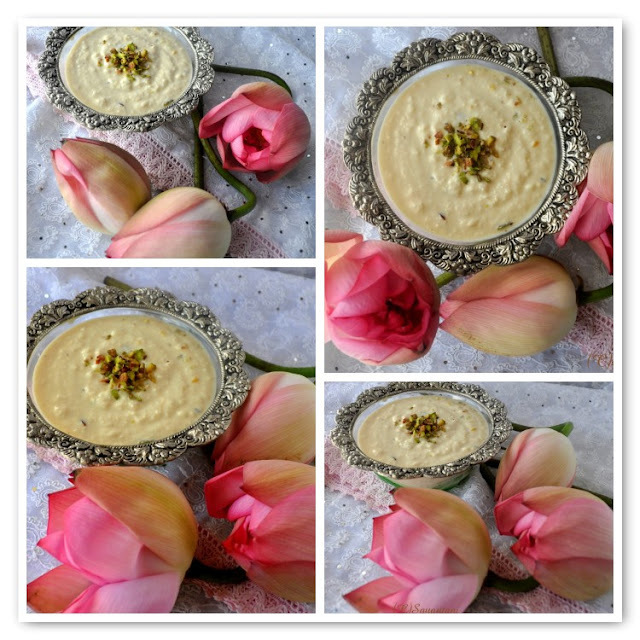 What a delicious and creamy looking cheese/ milk pudding! wonderful presentation n so yummy..
Omg, wat an irresistible and super rich looking pudding, seriously drooling over that bowl.. Absolutely deliicous and mouth watering payes. Gorgeous presentation. 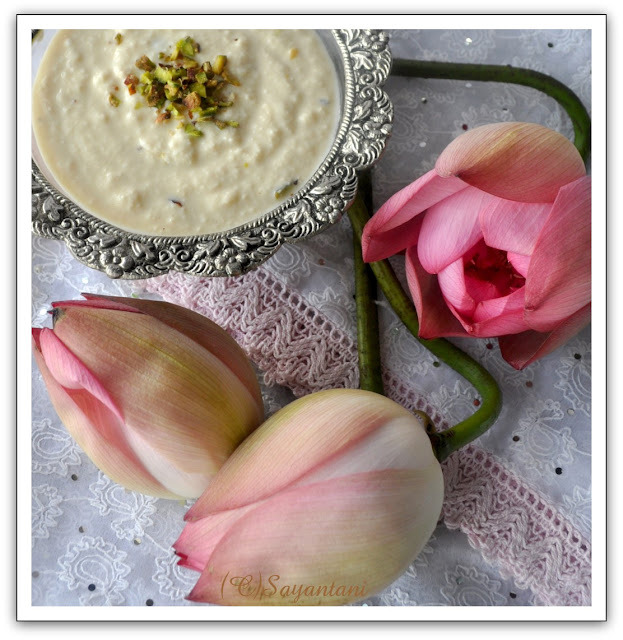 Happy birthday to you and your husband Sayantani...the payesh looks so good..thick and creamy..saving this recipe of yours. lovely and delicious pudding !!! Lovely presentation and thanks for sharing this recipe. 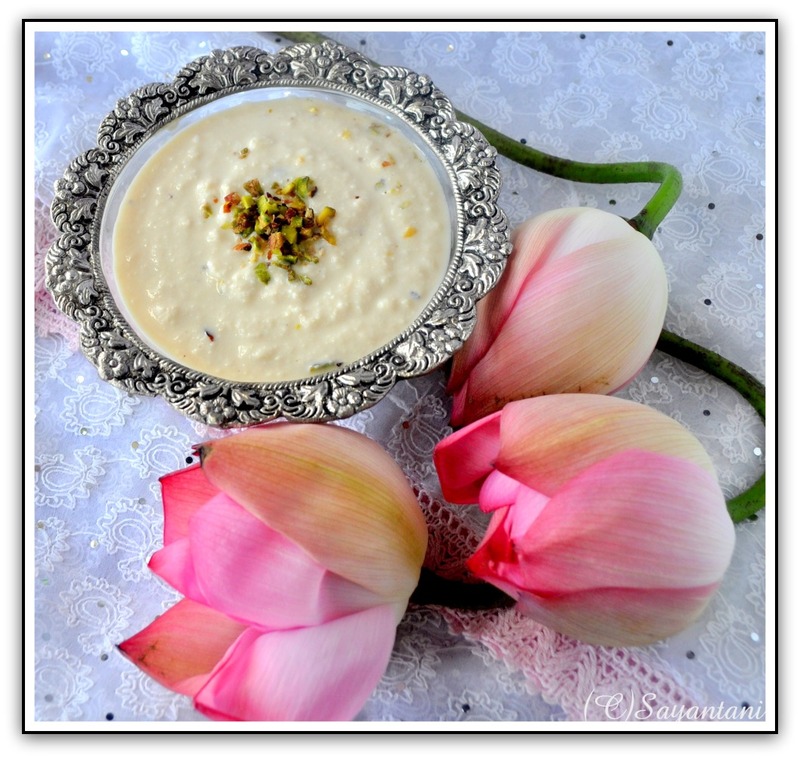 Delicious kheer and the presentation is really lovely. Oh...one of my fav. Bengali desserts! Lovely presentation, Sayantini. hey belated bday wishes to both of you..I had my bday yest...prepared my fav carrot halwa..
Belated birthday wishes to both of you.Payes just look marvelous perfect for the occasion. Happy Navrathiri to you Saya. Pudding looks so thick and nice! 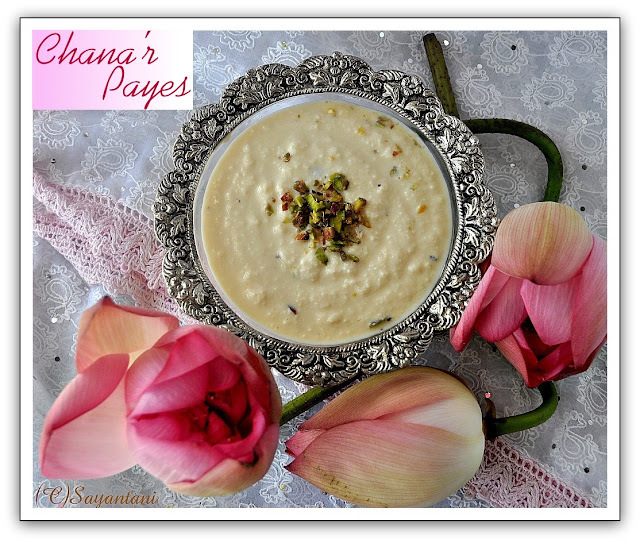 Posting those pics you asked for in the next post..
Wow chanay payesh .. i love chanar shondesh and now payesh . Why am I not in Kolkata right now?! Wishing you and family a happy Mahalaya and Durga Pujo Sayantani! The paayesh looks heavenly, Ma banato, aami try korte pari kintu icche kore na. Hope you are enjoying the festival season Sayantani. Its been so long, how have you been? Milk pudding looks so good. This looks delicious. It is a recipe that requires a lot of patience. I'm bookmarking it to make it on a relaxed day. This has always been on my top five Bengali sweets list. 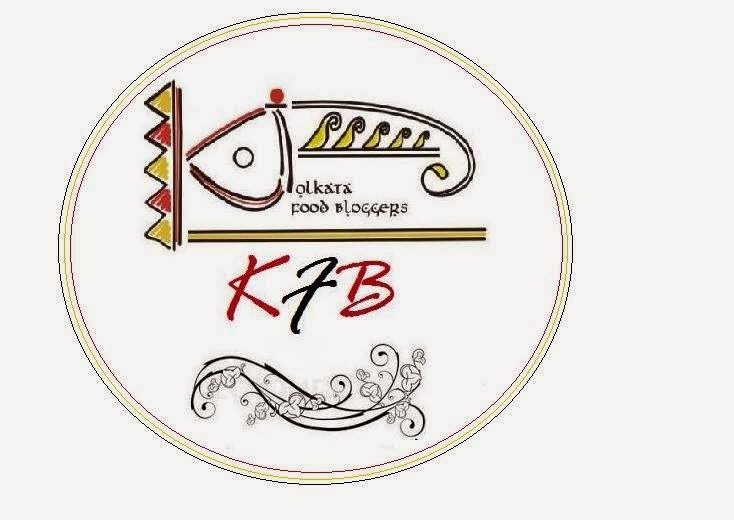 Thanks for posting--brought back some great memories of eating at friends' houses during Pujo. Belated Happy Birthday wishes to u and your hubby. Your Payes looks so inviting and I have bookmarked this recipe to try it soon. Your Clicks are awesome too. droolicious and super rich looking pudding, I have to make it soon just for myself this time . Just have a quick question! Is Milkmaid evaporated milk or swetend condensed milk?